“Time to save the galaxy from Dark Lord of the Pigs and chance to become a Jedi Master.” Angry Birds Star Wars is a latest mobile game in Angry Birds series with mix of unlimited adventure and fun. Join with Rebel birds who had won over many evil Imperial Pigs. Angry Birds development team has released this new version in their series and they considered it as the biggest adventure mobile game ever. 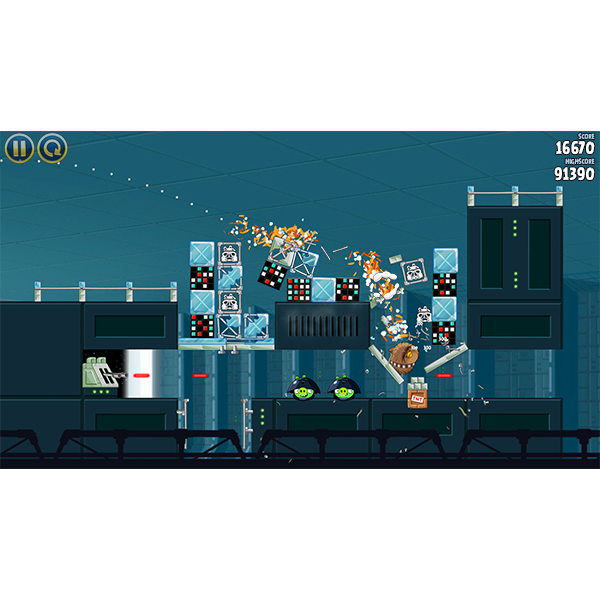 This action-arcade game takes you in to a new world of evil Pigtroopers on an intergalactic journey. During the desperate battle against a galactic menace of evil Pigtroopers, Rebel birds have successfully crossed their first barrier and they need your help to free the galaxy from Darth Vader, the Dark Lord of the Pigs. Rebel Birds have managed to found the secret weapon of Empire, the PIG STAR and grabbed lightsabers to fight in the epic adventure. More than 80 levels of locations like Tatooine and the Pig Star. New Gameplay mechanics like lightsabers, Blasters and Jedi powers to cause destruction. Keep playing as long as you can to improve the level of bird’s skills. Unlock all the R2-D2 and C-3PO bonus levels. Earn stars and unlock new levels, achieve new goals in the Gameplay. About 40 Dagobah Challenge levels with Jedi Master Yoda to unlock the ultimate lightsaber.